Professional membership communities are springing up all over the internet spaces these days. (We even have one!) And everyone trying to make money at an online business is asking herself is it really worth it? With everything else to pay for with a blog or online business, do I need to pay for a membership as well? So today I sat down to think through the reasons not to join one. 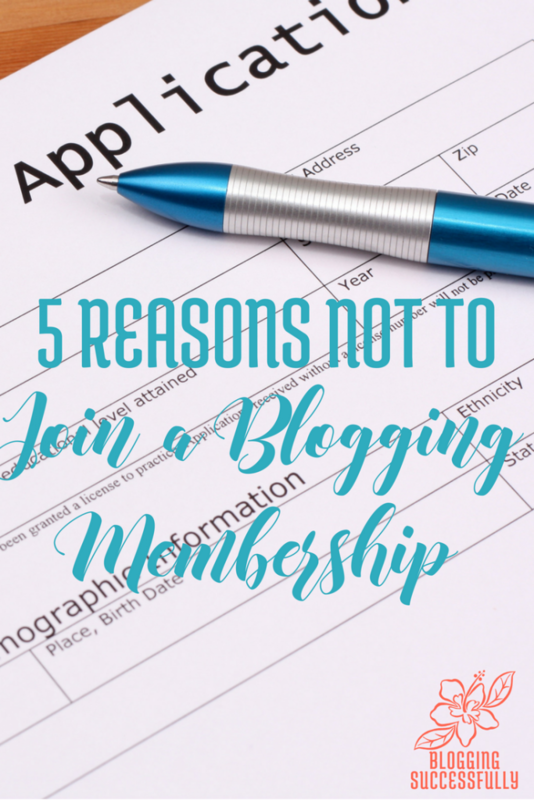 5 Reasons not to join a professional membership community. You are blessed with incredible business, marketing and technical knowledge. You are the expert in every area of your business and your business is a booming success. If you have no need or, or no desire to continue learning then you probably should not join a membership community, but you might consider creating one so that you can share your great wisdom with others. If you know that there are no changes to online business coming down the pipes and/or you already have answers to meeting those changes successfully, you don't need a membership program, professionals to discuss options with, live Q and A with experts, or even coaching to help you navigate the new challenges. You've got it covered. You are confident and fully at peace with every decision you make. You never get discouraged about your business. You're never confused about which direction to take. You always know just what to do and who to hire. If you're a one-man (or woman) show and you're good like that, then a support community and would be unnecessary. If you are at the place where you can hire any consultant at any price, then the type of discounts to real life learning and networking events, or discounts on private coaching/consulting that you get in most memberships probably won't be of interest you. You are an expert at sales, marketing and customer service. You have a list that is responsive and runs to purchase your next product every. single. time. And you are quite happy with the responses and the income you're making. You see no need to improve the process, network or find partners who will promote your next product launch or program to their lists and circles. YOU are as good as it gets. Then you should strongly consider joining a professional membership program. Not all membership programs are created equal. There are distinguishing factors in them all, but if you are looking for nurturing support from a real person who has time for you and your unique needs and goals, you should check out The Blog Connection. Join The Blog Connection today! Click the button below to get the full details or to sign up now!